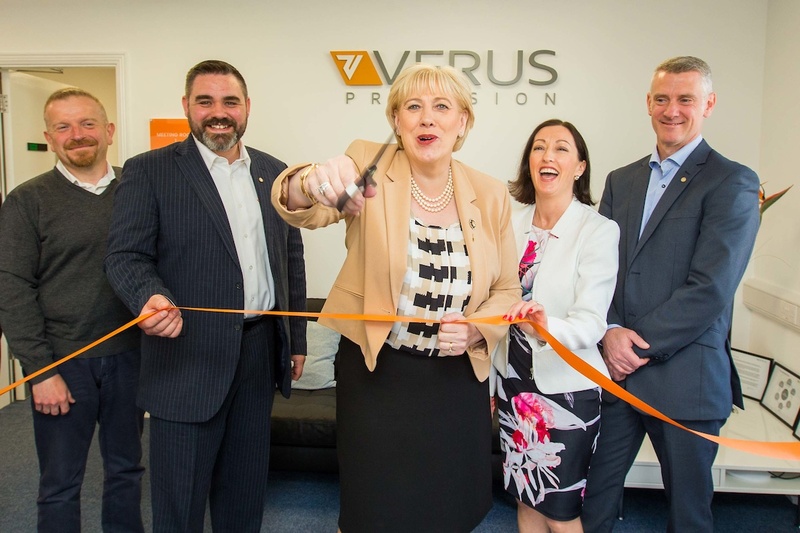 Verus Precision is celebrating its 10th anniversary by establishing a new state-of-the-art facility in Sligo, opened today (May 17, 2018) by Minister for Business, Enterprise and Innovation Heather Humphreys T.D. And the company is predicting significant growth in the short-term, with plans next year to open an independent metrology lab in the US. It already operates Ireland’s largest independent dimensional metrology lab with a second lab based at Nottingham in the UK. Metrology is the scientific study of measurement. Verus Precision works with global firms – mainly in the MedTech sector — to ensure the precise, scientific dimensional measurement of their products and to add value at their product design and development stage. 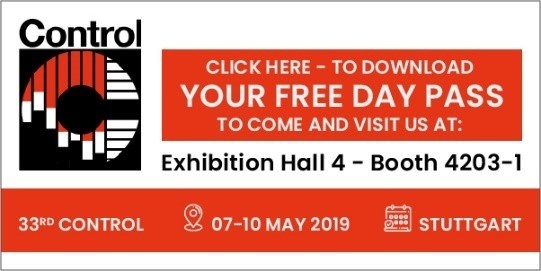 Verus Precision is a company of experienced mechanical design, metrology engineers and toolmakers, with two advanced metrology labs in Sligo and Nottingham. It currently has 20 employees, with four based in the UK, and has created four new jobs with the opening of the new facility at Sligo. Another 5 jobs are to be created over the next two years. 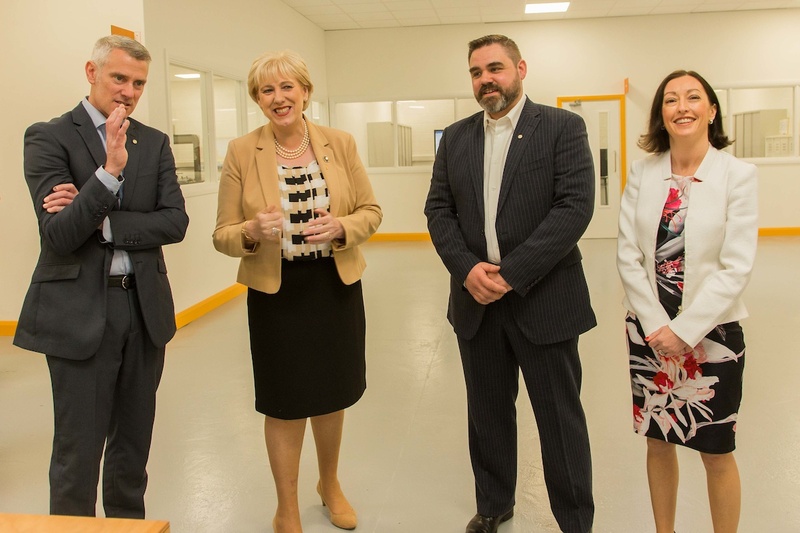 To mark its 10th anniversary, Verus is moving into the new facility, based at Cleveragh Industrial Estate, where toolmaking and precision engineering first took place in Sligo town,. It was officially opened today by Minister Humphreys when she visited the site. The company purchased the derelict premises at Cleveragh last year and has spent 12 months – and €800,000 — renovating it into a state-of-the-art facility. 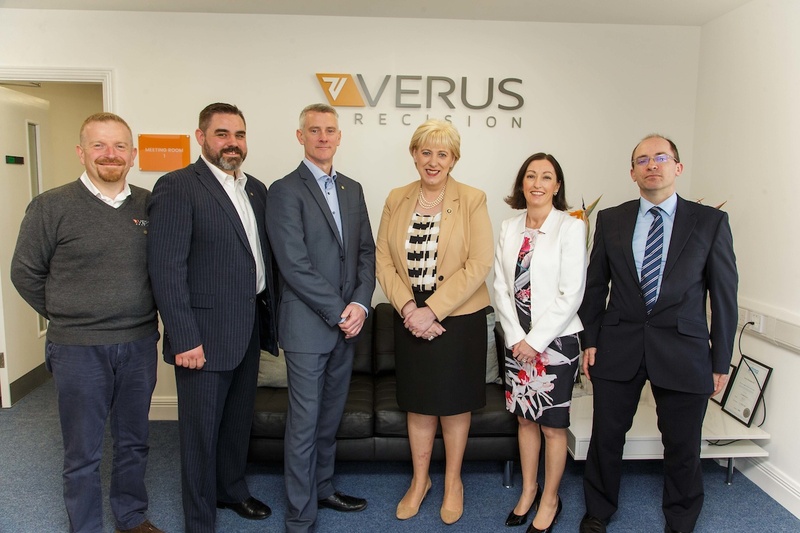 Verus Precision was formally located at the Aughamore Far Industrial Park, also in Sligo, and the company is retaining this facility as a centre for Research and New Product Development. Verus Precision was established in 2008 by current Managing Director Andrew Hodson and Technical Director Michael Nugent. It was the first independent metrology lab in Ireland – and is now the largest in the country. It started at a ‘hot desk’ at IT Sligo’s Innovation Centre. Since then, the Verus group has grown to have a turnover of €2.5m and is looking at a projected €8m turnover in the next five to six years. To facilitate this growth Verus has recently expanded its board of Directors to include Yvette Haughey as Strategy and Finance Director and Sean MacEntee as Chairperson of the Board. In 2016 Verus began working with Enterprise Ireland Global Sourcing team, which helps Enterprise Ireland Clients establish contact with Multinational organisations based in Ireland. These contacts through The Global Sourcing initiative team have helped Verus expand its export business through the multinational networks globally.